Yeah yeah yeah. Your thinking that this is the last thing you want to do. However getting your nails done will help improve your appearance. Plus it\’s also crazy relaxing. Aside from aesthetic reasons there are some feel-good reasons for getting your nails done too. Your pedicurist and manicurist will trim your nails (which prevents ingrown nails yikes! clean your hands and feet including the accumulated debris beneath your nails and even give you a nice foot arm and leg massage. What do we mean by Your place? Sometimes it’s nice to find that hole-in-the-wall bar that no one else knows about and grab a drink. This will give you a little alone time and a new place to frequent whenever you need to get away. Look for a place that has your favorite beer or whiskey befriend the staff and enjoy going to YOUR place. Basically it’s like the TV show Cheers. Come one we all know the theme song just popped into your head. Sometimes the best way to pamper yourself is to spend money on something YOU want for a change. It’s common to save money and only spend a little when you have to but every now and again it feels good to spend the money you earned on yourself. Buy that new pair of sneakers you’ve been wanting a new radio for your car or some of the crazy technology available nowadays. Work hard play harder right? Getting a fresh cut already makes you feel a little rejuvenated as it is but going to a salon is the extra you’ve been needing. A men’s only salon is a relaxing place to sit and watch the game while enjoying a crisp haircut that includes a scalp massage in an environment that’s catered just for men. So next time you go in don’t just go for the basics. Splurge a little. Go for a package that includes the works like a haircut, beard trim, steam towel treatment and more! Need a place to relax and get your grooming done? metro For Men provides a masculine environment. 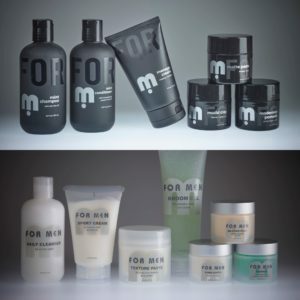 This allows men to get the best services designed for men with products made exclusively for men. metro FOR MEN specializes in: Men’s Hair Cutting and Coloring, Full Body Waxing, Nail Grooming, and Men’s Facials. metro FOR MEN has been voted Best Men’s Haircut by Krista Best Shave and a Top 200 Salon in America from 2008-2017. Conveniently located off the 5 and 405 for your on-time appointment. Call to book your appointment @949-450-0150.